Here's something else for a change. Next weekend the European Soccer Championship starts with the Dutch facing France, Italy and Romania in the group stages, so it's gonna be tough to get through to the QF's. Anyway, slowly the nation is turning orange. Practically everyone in the Netherlands thinks he's the National Team Coach, so were are the normal supporters? This year, they come from England. 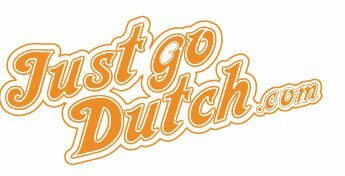 On the website Just Go Dutch, some Englishmen are trying to get the whole of the UK to support Holland during the Championship. Now why would the English decide to support the Dutch? 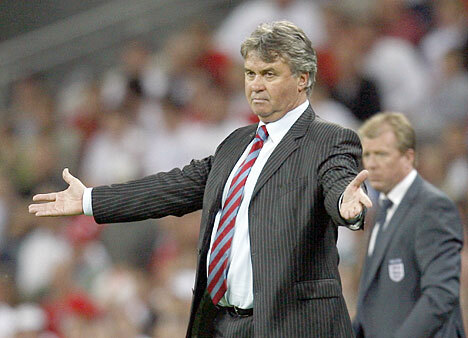 Probably not because of Guus Hiddink, the world best coach who worked another miracle and led the Russians to the Euro 2008 tournament at the expense of the English national team and is said to take the helm at Chelsea after the Euro 2008. I'm not sure if it'll help, hope it does, cuz while the team has quality enough to win the title, we probably only do so once in a 100 years and this group stage really is a killer. Can't see them go past France and Italy yet, when they do, they're title candidates though.